Talk about a royal duty...or is it? CBS Miami entertainment and lifestyle reporter Lisa Petrillo posted on Twitter on Wednesday a photo of a woman wearing a casual black outfit walking a small black and white dog, which is doing its business on the concrete. The picture was taken on a public road about a third of a mile and a five to 10-minute walk from Kensington Palace, which is home to, among other royals, Meghan Markle and Prince Harry. "So incredibly enough, walking by @kensingtonroyal -we spotted this beautiful, woman with a familiar air"outside the entrance to the private residence where Harry& Meghan live . MEGHAN!? her dog was doing his business. She couldn't have been sweeter. #princessespickuppooptoo," Petrillo tweeted. So was it really Meghan? 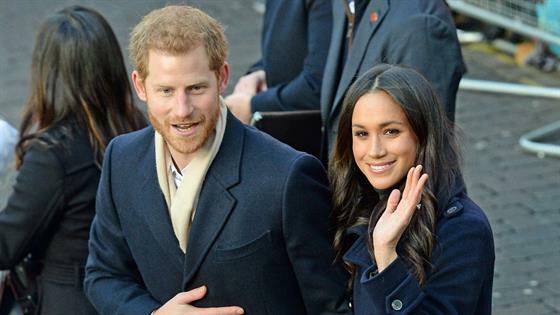 Well, royal commentator Omid Scobie tweeted, "that's not the Duchess of Sussex," and added, "Checked with sources (plural), shared findings." TMZ also quoted a palace source as saying the woman in the photo is not Meghan and that the dog is not the duchess' either. Meghan is not known to have a small black and white dog. She has a brown, black and white rescue beagle named Guy. It was recently reported she and Harry recently obtained a Labrador. Just before she moved to London to be with Harry last year, the duchess left a Labrador-Shepherd mix named Bogart to live with friends, reportedly due to his advanced age. Meanwhile, a source tells E! News that the viral photo is not of Markle. In addition, the entrance to Meghan and Harry's Kensington Palace residence is nowhere near the location of the photo, which is located on a road named York House Place, near a few apartment buildings that are not the homes of royalty. The surrounding areas directly around the palace are not accessible to the public and the gardens and the roads around it are typically filled with residents and tourists.